Biscuits and Gravy in the Morning with Summer and John! There’s nothing better than waking up to a fun, local morning show! Summer and John start the day with local guests and bring a unique sense of humor to the air. 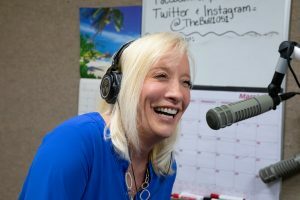 With over 25 years of radio broadcast, and countless hours of hosting community events and fundraisers Summer Stevens has landed once again at Midwest Broadcasting Group at 105.1 The Bull! Summer brings her family fun relatable stories, an inside look at the community, plus her infectious laugh which will keep you smiling and laughing thru the morning. Summer, a graduate of Strafford High School, and a graduate from Missouri State University is proud of her roots and of the local community. The mother of two boys, Kole and Grant, plus wonderful daughters-in-law, Skyla and Megan then add two hilarious grandchildren- Danika and Kase plus hubby Mark make up the crazy family. Warm weather means lake time and Summer and her brood can be found at Tablerock Lake at their cabin known as “The Money Pit”. An advocate of helping children with special needs you’ll find Summer and Mark, at Miracle League Baseball on Monday nights. 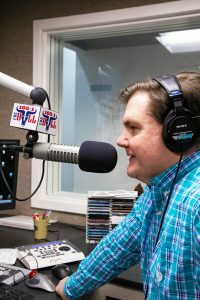 John Kimmons has been entertaining country music listeners in the Ozarks for over 20 years. He is a tireless supporter of Crosslines, Shoeboxes for Soldiers, and Dickerson Park Zoo. In his spare time, John is into Photography, fishing, and considers himself a Grill Master, goes 4 wheelin’ and plays with chainsaws. John is a family man with a wife who is a school teacher, has a 9- year- old daughter Alana and rescue dog Goober. A blind man fell onto subway tracks at a train station near Washington, D.C. last week. Five people rushed over to help get him off the tracks and back onto the platform before the train pulled in.